This high octane activity is guaranteed to get the blood pumping as you battle it out in a variety of games to see who will be the last bumper standing. 1 hour of Adrenaline charged fun! 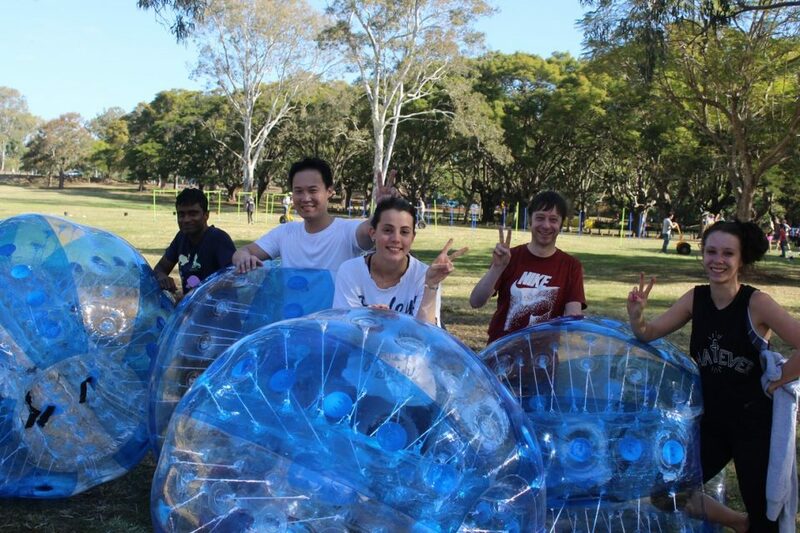 What makes Bumper Balls for Events so popular? Mate Vs Mate, Father Vs Son, Brother Vs Sister, this activity is heaps of fun! 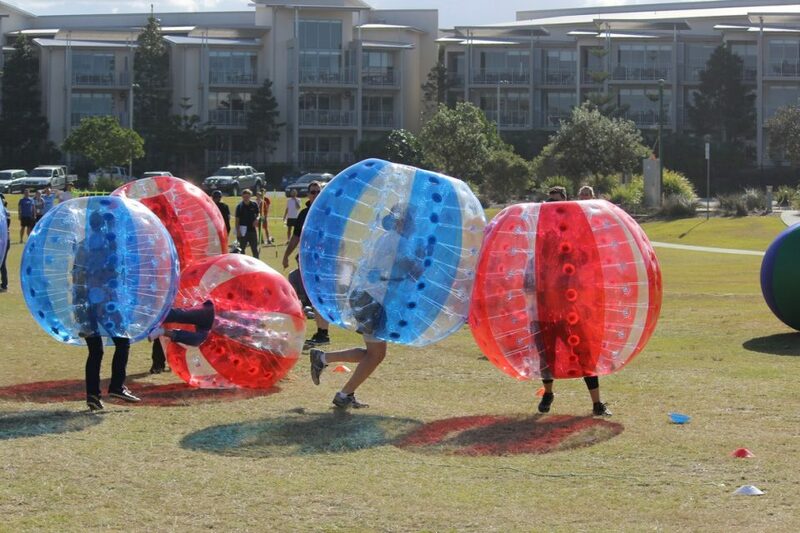 On this private activity session you’ll get one hour of high octane fun, it’s guaranteed to get the blood pumping as you battle it out in a variety of games to see who will be the last bumper standing. Bump It Balls are very interactive, hilarious to watch and play and requires minimal skill to have fun. 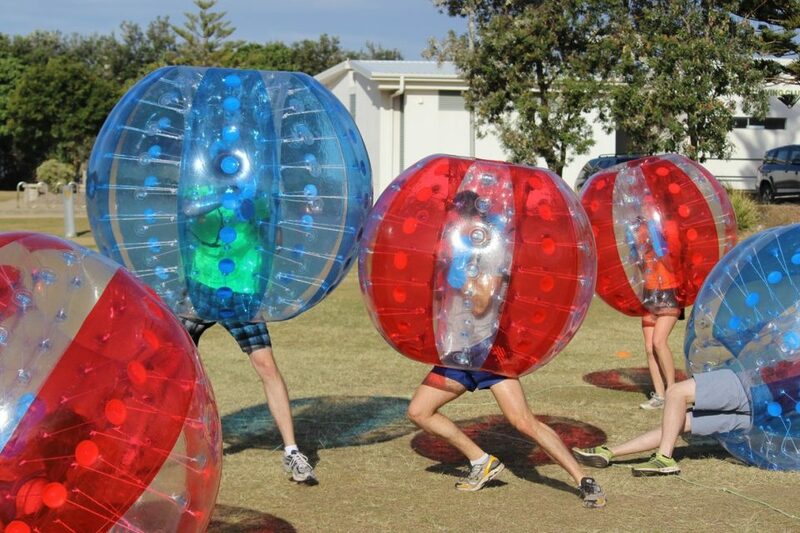 This activity can literally be enjoyed by anyone. You don’t need any special sporting skills or athletic abilities; everyone competes on a level playing field! It’s time to enter the Bump Out zone, where two or four people will face off against each other to see who will be the last Bumper standing. The aim of the game is to work together or as individuals to bump out the opposition and be the last one inside the circle. Just like bull rush, except your strapped in a gigantic ball. Who can dodge the opposition and make it through the rush zone without getting bumped over. It’s soccer with a twist! 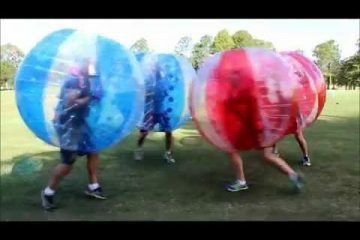 Bumper Balls are great for birthday parties, as a conference ice-breaker, as a fun sports group or family-friendly activity. 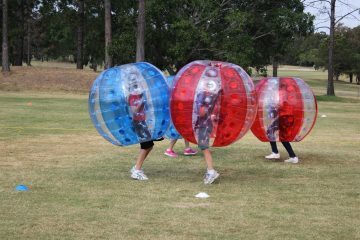 So if you’re looking for some fun come on out to one of our base location and try Bumper Balls today! Q: IS THERE AN AGE OR WEIGHT LIMIT? Whilst there is no minimum weight limits, with regards to age we suggest a minimum of at least 8 years of age as the balls can become heavy for younger participants throughout the session. Q: HOW MANY PEOPLE & WHO CAN PARTICIPATE? This activity is for party bookings only (no corporate bookings). You can have as many people participate as you like within the 1 hour hire period. Q: HOW LONG DOES EACH PERSON GET IN THE BALLS? It is up to you how long you want each person to have in the balls before you rotate and allow someone else to have a turn. You are hiring the balls for 1 hour, so you decide how long. Q: DOES SOMEONE FROM TIME OUT FACILITATE THIS EVENT? 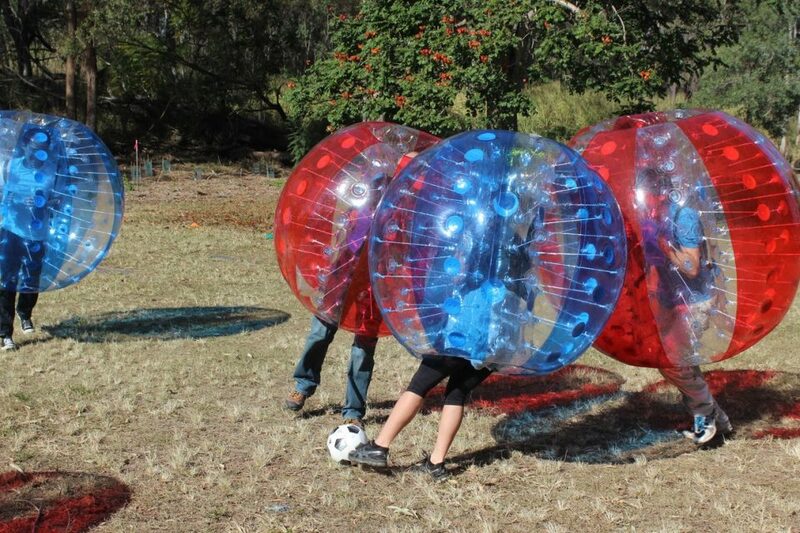 We will blow up the balls, show you how to get in and out of the them and provide you with information as to the types of games you can play and how to be safe. After that, it is up to you to organise how you want your event to run and supervise everything to make sure everyone stay's safe. Q: HOW DIFFICULT IS IT TO DO, WILL I BE ABLE TO PICK IT UP QUICKLY? Q: HOW MANY PEOPLE AT ONCE WILL PLAY? Anywhere between 2 and 4 people it is entirely up to you. Q: WILL I GET HURT? 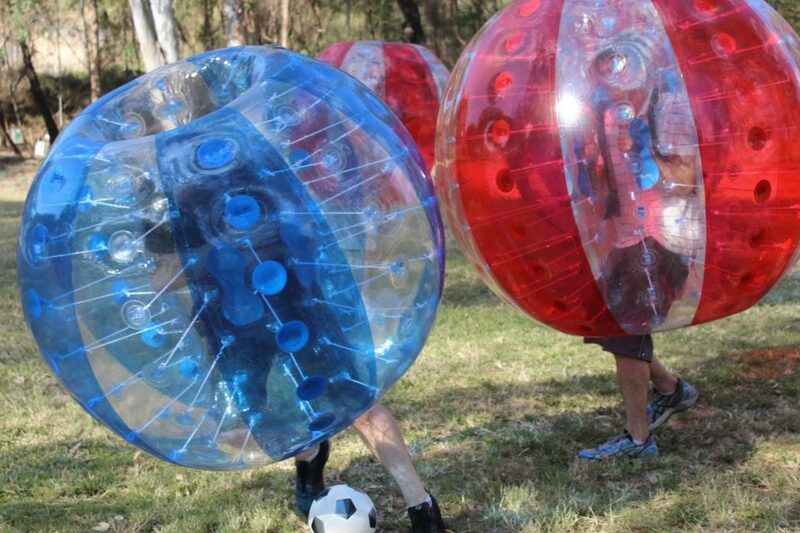 Whilst you are in a giant padded ball, that covers your head plus you are harnessed into the ball so you can't come out, there is still the potential for you to hurt yourself such as twisting an ankle or kneee. But the chances of you hurting your neck, back or head provided you harness yourself in properly are very slim as the ball protects you. It is important to know that you are required to sign an indemnity form and you are participating at your own risk. Q: WHO SHOULDN'T DO THIS ACTIVITY? Anyone that has a history of heart, back, neck and knee problems or is pregnant or trying to get pregnants should not participate in this activity. 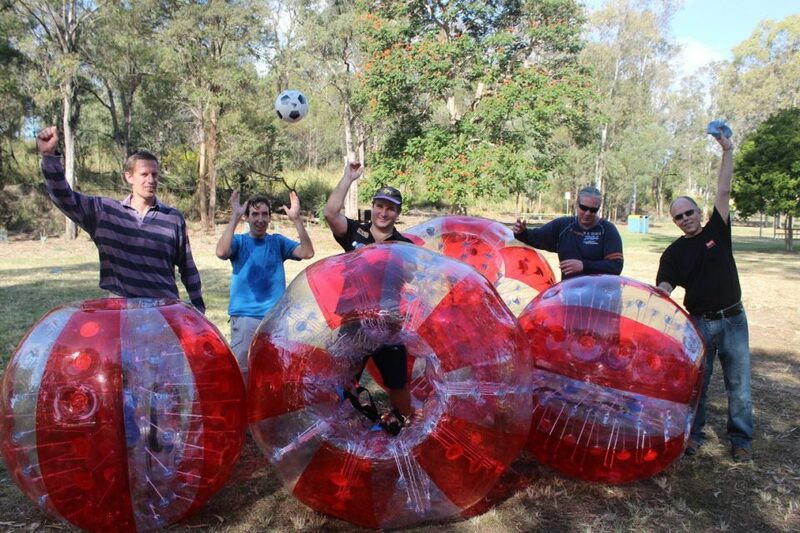 Bumper Balls for Events: Now playing at a venue near you! This activity is not supervised by Time Out and as such no responsibility it taken to the safety of those participating. The hirer takes on all responsibility for the equipment and those participating. This activity will not operate in rain. We will notify you if the session is cancelled and offer an alternate date and time. If you cancel your booking with less than 48 hours notice no refunds are offered. For cancellations greater than 48 hours notice we will gladly provide a full refund.